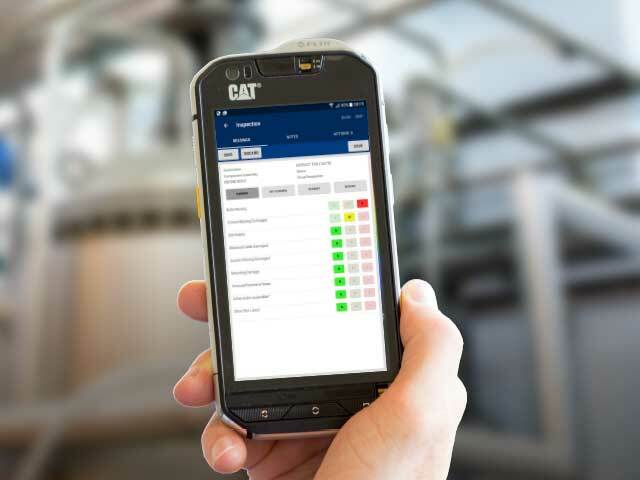 Condition monitoring is an excellent maintenance strategy to enable asset operators a proactive means to reduce non value added PM activity and gain insight into both rotating and static equipment condition. The Oil and Gas industry is questioning the value and typically high cost of traditional methods for Condition Monitoring. On Tuesday 19th January AVT Reliability Ireland in cooperation with Engineers Ireland and MEETA hosted an event “Using Predictive Maintenance to Avoid Vibration Induced Pipework Failures”. The event was a success and very well received by attendees from some of Ireland’s largest home-grown and multi-national companies. Last week BINDT accredited Vibration Analysis Category 1 training course took place at our brand new Head Quarter in Warrington. The Course has been run by Condition Monitoring and Predictive Maintenance Senior Engineer & AVT Reliability Training Manager David Stevens, who is a fellow member of the International Society for Condition Monitoring. AVT’s head of asset management, Frederic Thomas, presents opportunities for companies to improve food safety, machine reliability, and availability based on analysis of data from over 100 benchmark audits. We look at how Food Grade Lubricants are actually managed, or not! Fellowship of the International Society for Condition Monitoring (ISCM) has been conferred upon David Stevens, Technical Manager & Trainer at asset integrity specialists AV Technology Ltd (AVT) – one of only two members of the organisation to hold this distinction. As part of the 30th anniversary of the Irish Maintenance and Asset Management Society (MEETA), AVT Reliability Ireland has been awarded a Certificate of Maintenance Excellence for its Machine Sentry® system. AVT Reliability, a new company created by the merger of AV Technology and AESPUMP, is exhibited for the first time as a united team at the 40th anniversary Maintec show on stand M22K. Structural monitoring solutions from asset integrity specialist AV Technology Ltd (AVT) are providing Guernsey Water with crucial crack and joint movement readings at St Saviour’s Bridge which spans the dam wall at the northern arm of St Saviour’s Reservoir. Processing more than 500 million litres of milk each year, as well as producing cream and Frijj fresh milk drinks, Dairy Crest Severnside is milking the benefits of a partnership with AVT, with lubrication and condition-based maintenance services resulting in enhanced asset reliability as well as a reduction in maintenance spend. A new partnership between leading asset integrity specialist AVT Reliability and the Dublin Institute of Technology (DIT) means students undertaking the three-year degree in Engineering Systems Maintenance will now have unparalleled access to a wealth of industry knowledge.